Did You Know? San Diego is a pet paradise. Fur friends are universally loved, with many outdoor cafes welcoming dogs (complimentary treats provided!) and easy access to your choice of on- and off-leash dog parks, including popular Dog Beach in Ocean Beach. San Diego is known as “America’s Finest City,” and this moniker is no accident. Situated along the Pacific coastline in sunny Southern California, San Diego offers the best of all worlds. A laid-back beach vibe? Surfing, snorkeling and boogie boarding abound. Foodie haunts and craft beer? This is where Stone Brewery was born, after all, and celebrity chefs are opening their doors to new culinary destinations almost every day. If you feel like you’re still missing out, check out the live music scene, nightlife, hiking trails, bike paths and more. And, of course, there are major attractions like SeaWorld, the San Diego Zoo and Legoland. Depending on what your idea of “vacation” is, San Diego’s many neighborhoods offer a little something every house sitter or pet sitter dreams of. Plus, near-perfect weather makes caring for homes, pets and gardens a breeze. This idyllic beach town is like stepping back in time: the homes range from charmingly quaint to jaw-dropping mansions, the downtown overflows with boutiques and eateries, and the beaches are considered some of the best in the world. To get to and from Coronado, you’ll have to drive across the Coronado Bridge, which is both terrifying and thrilling, or by taking the “long road home” through still-gentrifying Imperial Beach. 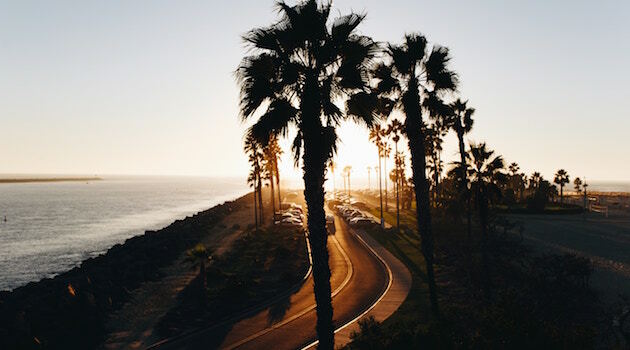 This is an easy destination to walk or bike almost everywhere on the island, but if you want to explore other areas of San Diego, you’ll need a car or at least a car service. For the quintessential beach scene, head to Mission and Pacific beaches. Surfers and boogie boarders hit the waves as bicyclists and joggers hit the extra-wide beach path, which is lined by oceanfront homes, souvenir stores, hoppin’ restaurants and bars. The vibe is young, hip and carefree, so come-as-you-are. Located at the northwestern western tip of the residential Point Loma community, the beach town is home to hippie funk and upscale eats alike. Head to Dog Beach at the end of Voltaire Street, and let furry companions in your care run off-leash 24/7. 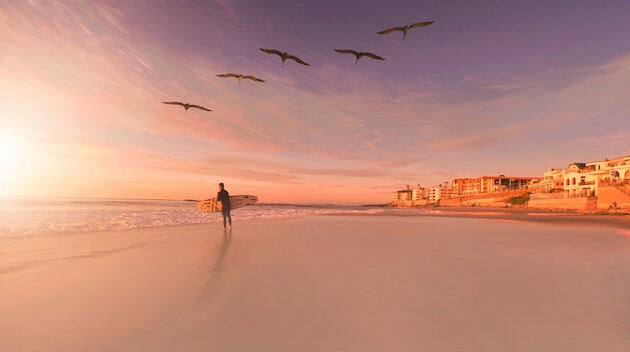 Just north of Pacific Beach is La Jolla, one of the most picturesque beach destinations in the world. Kayak through sea caves and snorkel with sea lions, then don your finer attire and oversized sunglasses as you enjoy a glass of Chardonnay as the sun sets. This is where “lifestyles of the rich and famous” meet So Cal’s distinct, laid-back attitude. When people think downtown San Diego, they think Gaslamp District. This is where you will find hotels, high-rise condominiums, dining, nightlife, live music, theater and the convention center. The Gaslamp is more “tourist” than local, but hey, you’re on vacation, right? It hustles and bustles late in to the night (by California standards, at least). So get your party on. The “park” these two vibrant, fully gentrified neighborhoods refer to is Balboa Park, a San Diego treasure full of museums, street performers, gardens, special exhibits, live performances and more. Both North Park and South Park have spent the past decade bursting back onto the city scene, offering a culturally diverse mix of new families and long-time residents alike. In between lovingly restored Craftsman homes you’ll find an eclectic, critically acclaimed food scene and craft breweries galore. Gay pride is Hillcrest’s claim to fame. You’ll find vintage clothing boutiques, used book stores, dance clubs and eateries. Down the street is Mission Hills, a quieter, residential neighborhood full of historic homes, families and a few of San Diego’s hottest restaurants. Plus, a walk down the hill takes you to Old Town, which dates back to California’s earliest days as a territory of Mexico and still bustles with authentic enchiladas and margaritas. 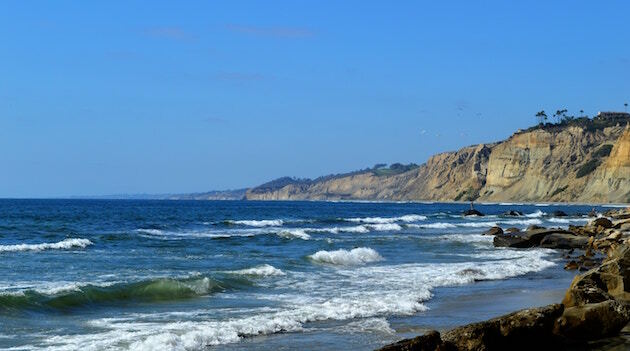 North of San Diego are popular destinations like Solano Beach, Del Mar, Encinitas and Carlsbad. Each of these beach towns are quieter and more laid-back than city life. But, you can still enjoy an eclectic mix of restaurants and picture-perfect sunsets, as well as easy access to considerably less-crowded (and gorgeous!) beaches. Amtrak stations are nearby for easy access to San Diego. With its gorgeous weather, picture-perfect beaches, upscale restaurants, pet-adoring crowds and historic homes, what is there NOT to love about San Diego? Whatever your vibe, you’ll find that pet sitting and house sitting in San Diego is where you work hard, to play hard.